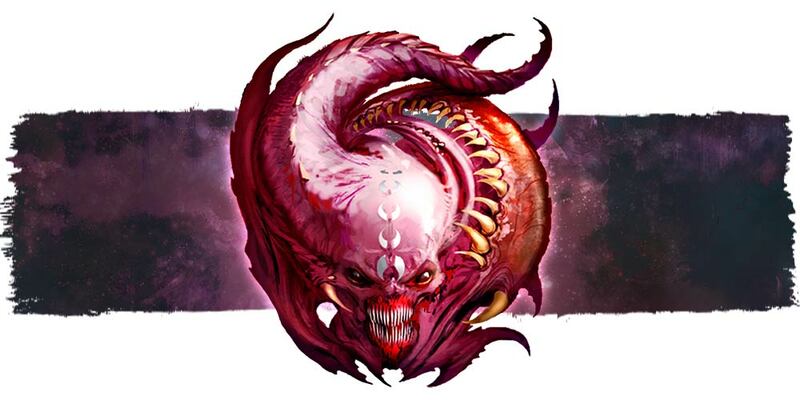 This weekend brought us TWO new 40K factions, Old World Legends, Necrons fleets, Tharn, Titanicus Reavers, Speed Freeks, D&D Minis, and what to expect from Slaanesh. 40k Players around the world are excited about the prospect of seeing some new Ork Models on the tabletop and the battlefields of 40k. But is anyone actually interested in the GAME Speed Freeks? 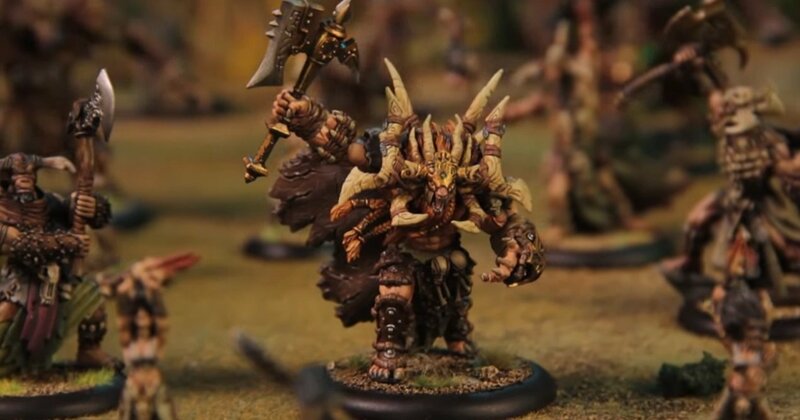 There’s a new wave of Nolzur’s Marvelous Miniatures inbound, bringing with it miniatures in some of the rarer player races, a few old familiar monsters, and more. 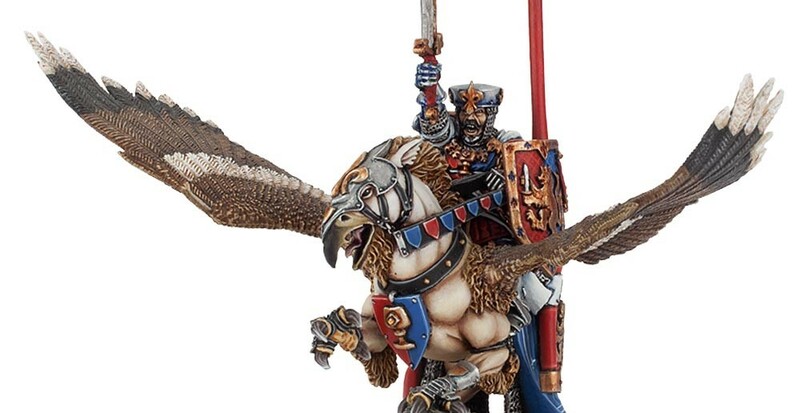 Games Workshop has a batch of Specialist Games miniatures up for Pre-Order this weekend. 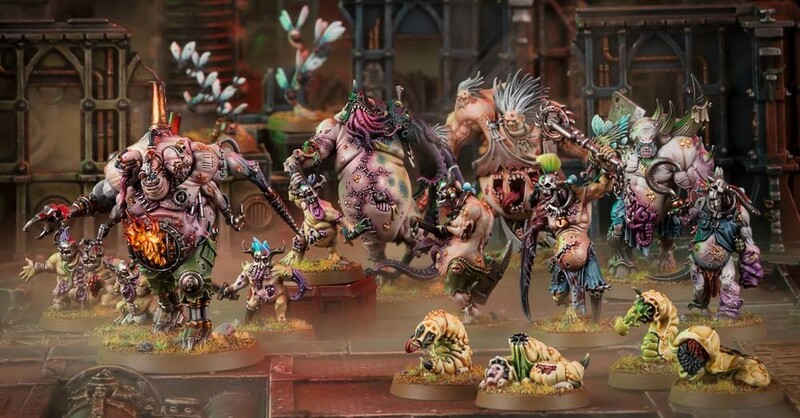 Bring on the Reavers and get your ‘stank on with Nurgle’s Rotters! The next army to face the CID cycle has been announced–come read all about the Tharn and their new theme force within. Take a team of 4 different Space Marine Heroes into the Labyrinth of the Necrons–brave the guardians of a forgotten tomb world and take the fight to a slumbering tomb before it can waken as we unbox the new co-op board game from Games Workshop. Trazyn the Infinite stalks the halls of his vast collection as he bears witness to a Galaxy throwing itself headlong into war–Battlefleet Gothic Armada Two gets a brand new trailer. Coming next week, the first big all-new expansion for Kill Team is coming, Rogue Trader is here. That’s right friends, for one week only you can order Order heroes, made to order. Get your hands on old favorites like Louen Leoncouer or Kurt Helborg next week! Rogue Trader is coming next week–and that means that it’s being shown off in the new White Dwarf, and that means that we have some leaked pictures so you can check out some of the pricing and kits of the new models. Check them out!